Is your NFP up to speed on Australia’s new anti-bribery legislation? Oliver May from Deloitte Australia outlines what some of the changes mean and what NFPs should do now. I once visited an Asian country, troubled by conflict, on a humanitarian assignment. On my way out, I was stopped at customs by an officer who wanted to examine whether a teapot I had bought in a local souk was an antiquity. It wasn’t, and he returned my possessions and let me through the control. Then he asked for a bribe. Not only was this illegal, but having let me go, he no longer had any power over me. For so many reasons, I thought, no! Sadly, not all bribery and corruption affecting the international operations of NFPs is this easy to detect and avoid. Key risk areas include the selection of local implementing partners, institutional donor and government relationships, conflicts of interest, procurement and recruitment. Foreign public officials and their interests can lurk behind the scenes, directing your team to work with certain partners or requesting favours for themselves, their associates and families. 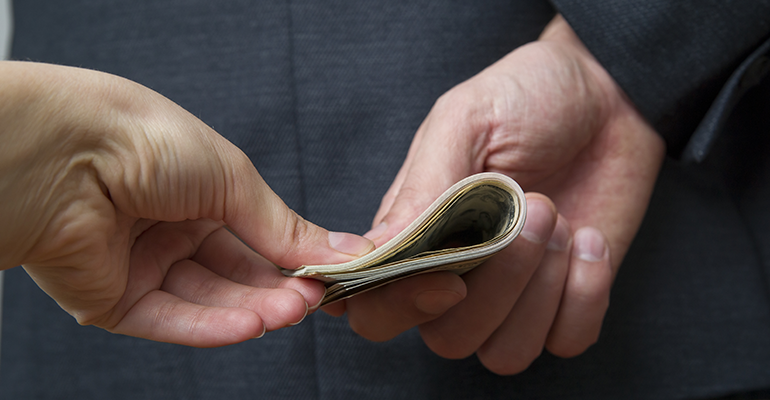 It’s tempting to think that bribery might be a low risk for your NFP. But remember that humanitarian need, and the corresponding hierarchy of values, can create incentives of similar intensity to those found with profit motivation. After all, when our aims are pure, all sorts of things can be justified to attain them. I write from experience. I have led, managed or quality-assured investigations into more than 500 cases of alleged fraud and corruption in the NFP sector worldwide. And in all the bribery cases, there was more the organisations concerned could have done to prevent the incident in the first place. That focus on prevention may be about to become a matter of law. The Crimes Legislation Amendment (Combating Corporate Crime) Bill 2017 is currently navigating its way through Parliament. This would introduce a range of bribery reforms, but one of the most important features for NFPs would be the creation of a “failure to prevent foreign bribery” offence, similarly to that in the UK’s Bribery Act. This would mean that should an act of bribing a foreign public official take place in connection with the NFP’s work, including through agents or partners, then the NFP could be held automatically, corporately liable. effective monitoring and review of their anti-bribery program or framework. Some NFPs may currently rely on Australia’s controversial permissiveness of facilitation payments (which are, broadly speaking, low-value transactions for expediting or securing minor, routine government actions). But even this could end, following recommendations in the Senate economics references committee’s report on foreign bribery. After all, when I deliver anti-bribery training, Australian audiences are often shocked that such payments can currently be permissible. So, what should NFPs do now? Firstly, recognise that there is a sea-change in Australian public focus on integrity and misconduct. This has been building for some time, but more recent drivers might include the royal commission into misconduct in financial services, and the aid sector’s sexual abuse scandal. What your team thinks may be ethically justifiable might not be in the views of the public, your donors, or your beneficiaries. Secondly, keep a close ear to the ground on the progress of the legislation, and begin open discussions with your staff, partners and other NFPs in your space about the risks and how best to manage them. Bribery and corruption thrive when we work in silence and silos. They wither amid transparent and honest conversation. Finally, consider developing anti-bribery systems immediately, starting with a risk assessment. Such systems take time to bed down, and while they do so, your NFP may still be exposed. Starting now means that you could be ready on day one of the new law. Don’t, like the customs officer in my opening story, leave it too late. About the author: Oliver May is a director in Deloitte Australia’s forensic practice, where he helps corporate, government and NFP clients to manage the risks of fraud, corruption and other misconduct. 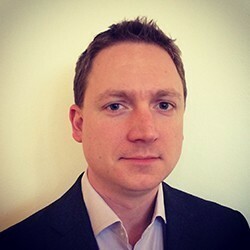 Oliver’s book, Fighting Fraud and Corruption in the Humanitarian and Global Development Sector (Routledge, 2016) is out now, and his follow-up book for NFPs on managing terrorist financing and sanctions risks is out in 2019, co-authored with Paul Curwell (also a director in Deloitte’s forensic practice). Oliver was also previously the head of counter-fraud for Oxfam GB.